Nanay, I love you because you always play with me. This is Rio's answer whenever I ask him why does he love Nanay. We value our playtime because we consider it as teachable and learning moments too. We incorporate play and games in our homeschool lessons. This makes learning more fun. In our experience, he can easily remember and understand the lessons when we integrate them with play. For example, we learned the concept of length and measuring by using popsicle sticks and played the game "Who is longer?" We started our alphabet lessons by using clay to form the different letters. Mas matrabaho dahil mag-iisip ka pa ng games pero kapag naintindihan na niya ang lessons at nag-enjoy pa, sulit ang lahat ng pagod! We also have playdates in the park with our homeschooling buddies once in a while but we need to make this active and free play time more frequent. We are still looking for public parks and nice outdoor spots here in the South so it was nice to spend our Friday afternoon playing in Johnson's Active Kids Playcation in SM Southmall. Rio was excited to try the different play pods that Johnson's set up for the kids to enjoy. 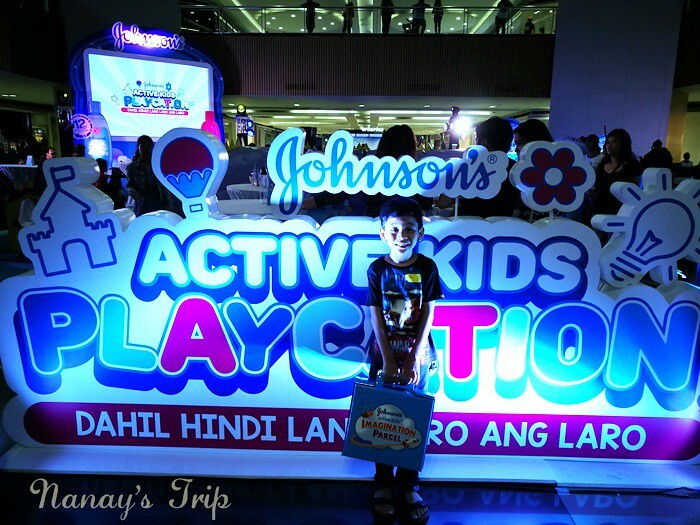 Visit Johnson's Active Kids Playcation playground at SM Southmall's Activity Center. It's open to the public until today, May 20. What are you waiting for, momshies? 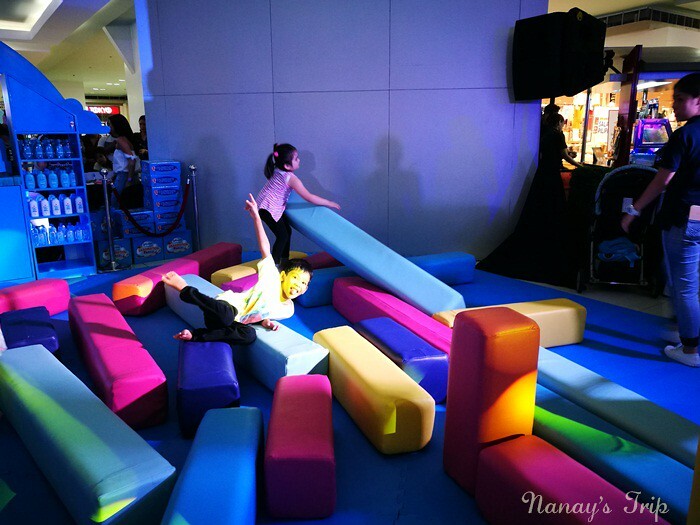 Spend some active play time with your kids now! Enjoy! 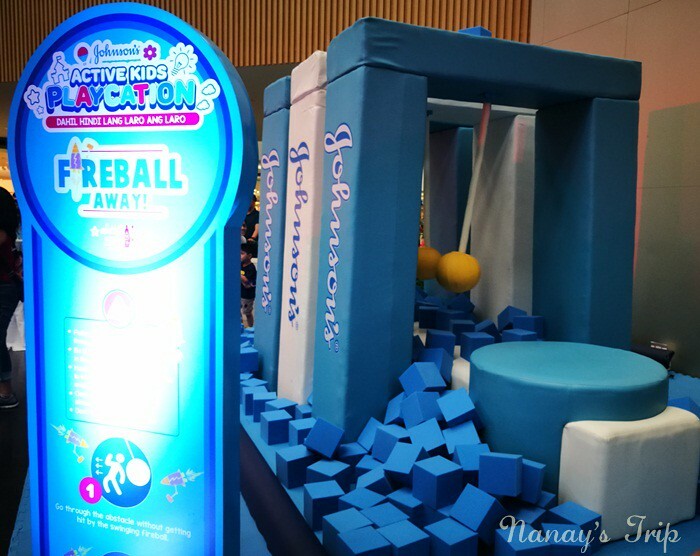 FIREBALL AWAY : Rio's favorite play pod! Playing while developing your child's balance. 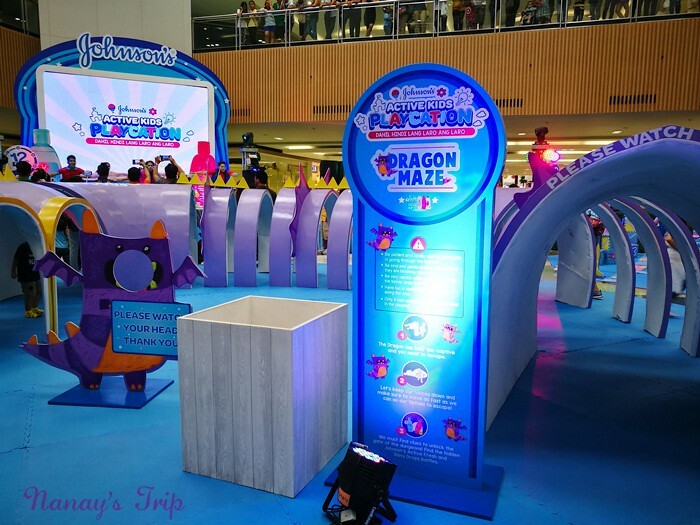 DRAGON MAZE : My son loves playing on mats! Walang kapaguran, maglabas-pasok sa maze! 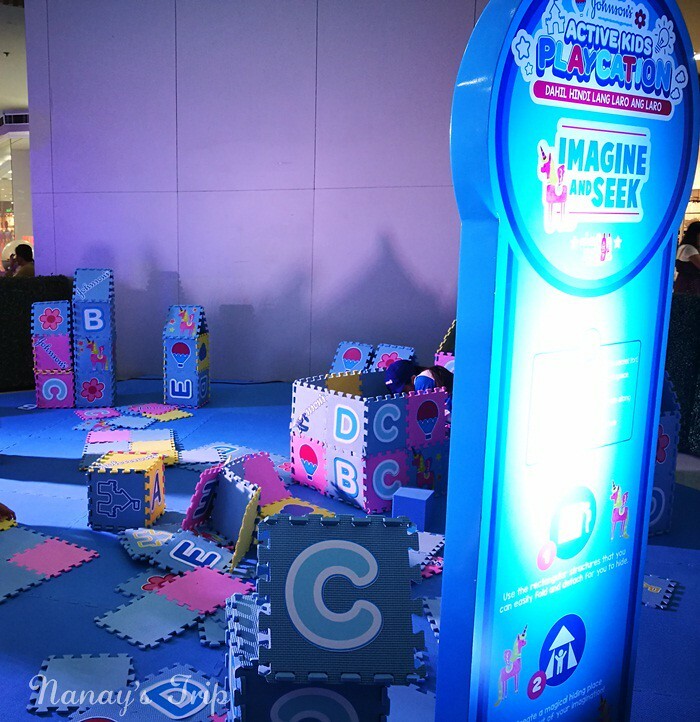 IMAGINE and SEEK : Nanay, I built houses and destroyed them too! 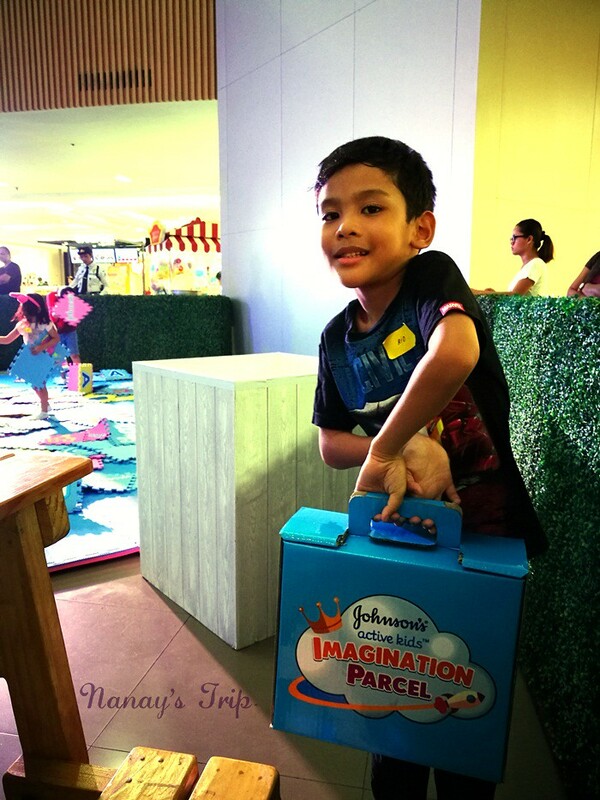 Thank you Johnson's for this Imagination Box! The first item in the box that Rio played with was the balloon! Thank you for these gifts, Johnson's!